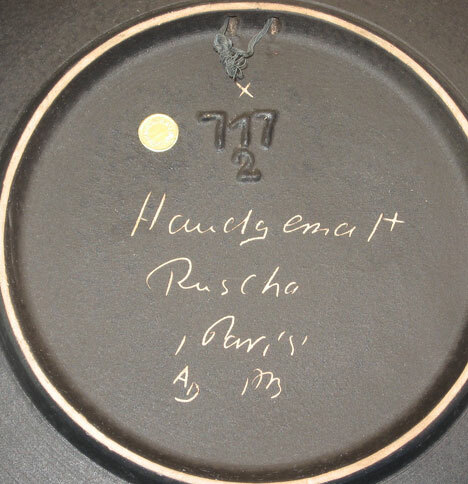 Ruscha was one of the top producers of the "engobe" style wall plates, and Hanns Welling was one of the top designers. The "Paris" design was and is one of the most popular designs, and it has an intriguing history that actually starts at Keto. Welling designed a "Paris" decor for Keto, but it's a very carefree design without the darker subtext in the Ruscha "Paris". However, Welling also designed "Monmartre" for Keto, and it's almost identical to the "Paris" he did for Ruscha. The 717 shape plates in the 7" range are fairly common. The 10" is harder to find, and the 13" significantly harder. 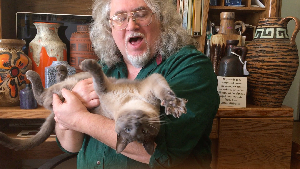 There is also a 3" mini that typically only has the cat. 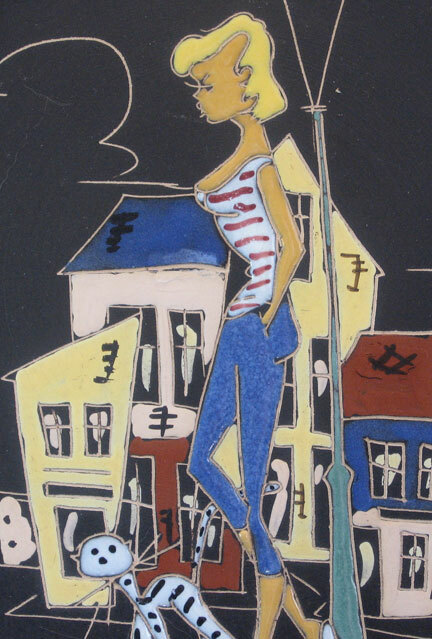 Elements on the full size are the young woman, lampost, striped cat, starry sky, and buildings. Some versions include a young man. 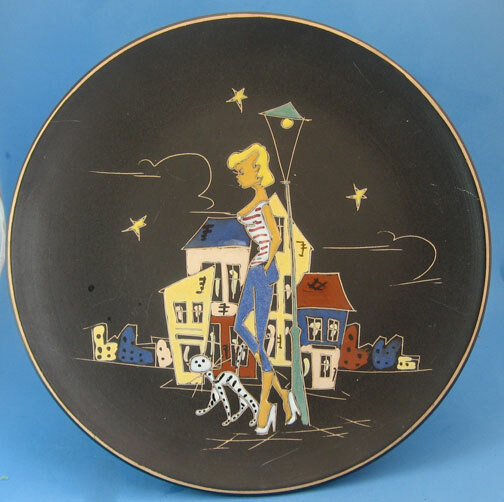 Engobe items have the matte black background, an incised outline, and then the enamel painting. While the basic pattern is given, artists were allowed some variation. That ends up being not only variation in design but sometimes in quality. 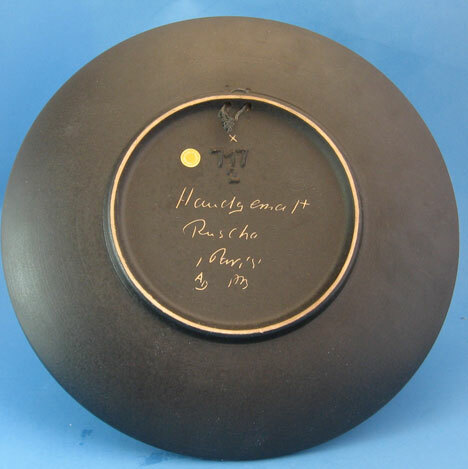 Marks on the back often include the initials of the artist who did that plate, but no records have come to light to identify the various artists. Size: Diameter is about 10". Price: $105 plus shipping and insurance.